Week of February 26, 2018. Puerto de Buenos Aires 1933: El Eco With Guillermo Nojechowicz. 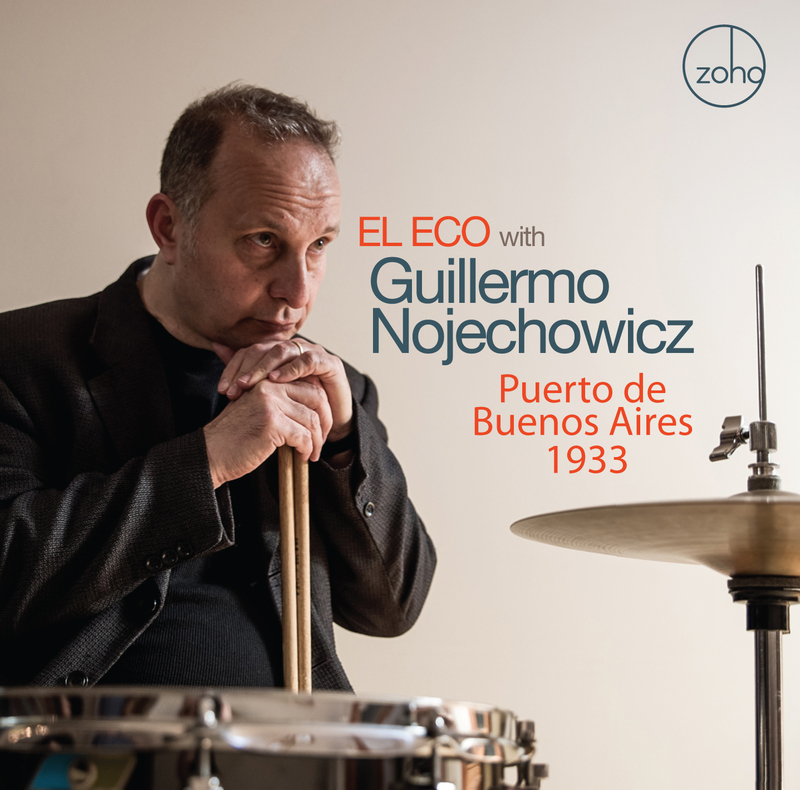 In his latest album, Argentine-born drummer and composer Guillermo Nojechowicz creates an expansive soundscape inspired by his grandmother’s journey from Warsaw to Buenos Aires to escape rising anti-Semitism. Infused with Latin jazz tonality and feel, Nojechowicz paints a beautiful picture of a new way of life in Argentina. His ensemble, El Eco, adds some South American heat to a jazzy, cinematic style. The track “Europe 1933” is highlighted by the vocal stylings of El Eco’s newest member, Kim Nazarian. And numerous string artists make guest appearances to supplement the drama and flow of this unique and emotional project.